The first project in LADOT’s People Street program has opened in a former alley near corner of Magnolia and Lankershim Boulevards in North Hollywood. The project, called NoHo Plaza, has been repurposed with cafe tables, chairs, umbrellas, a colorful surface treatment (which looks almost exactly like the dotted green and gold surface of Silverlake’s Sunset Triangle Plaza), and perimeter planters. 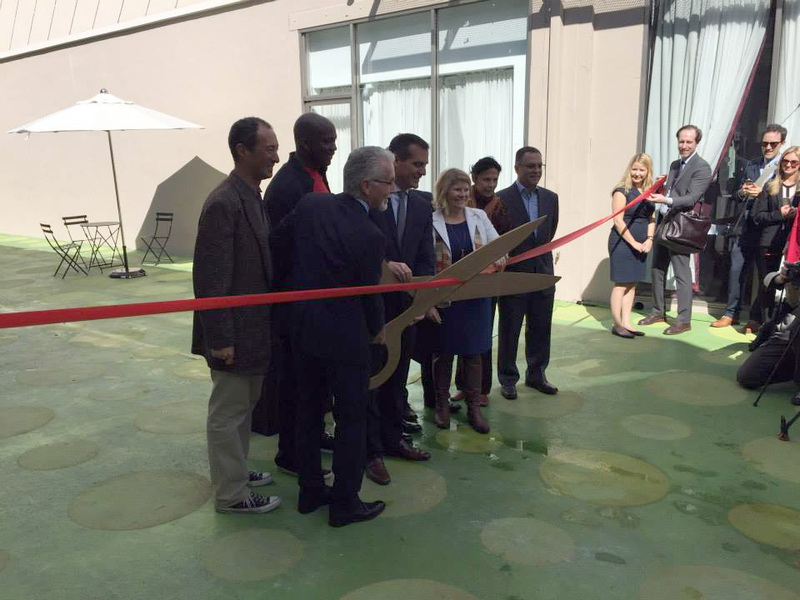 People Streets allows community groups to partner with the city to make public spaces. Each project type—including parklets, plazas, and bicycle corrals—offers a preapproved kit of parts containing packaged configurations to choose from. NoHo’s kit of parts was supplemented by technical design (road marking, signage, signals, etc) from LADOT. According to LA Streets Blog, the park cost only $57,000. 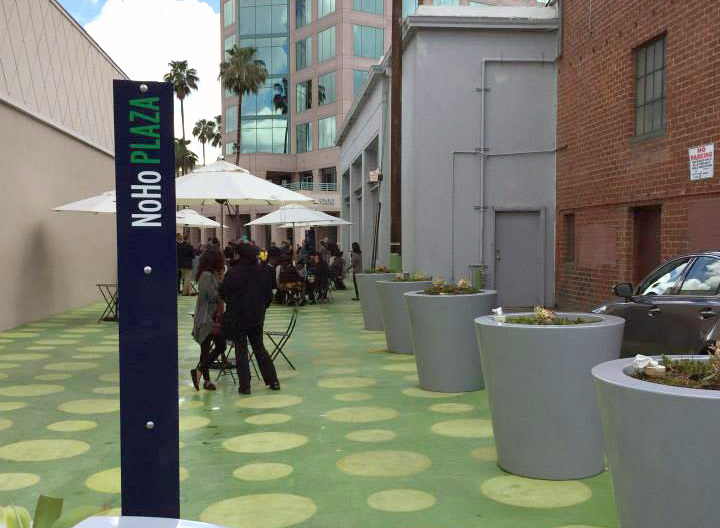 The plaza is managed and maintained by the NoHo BID. 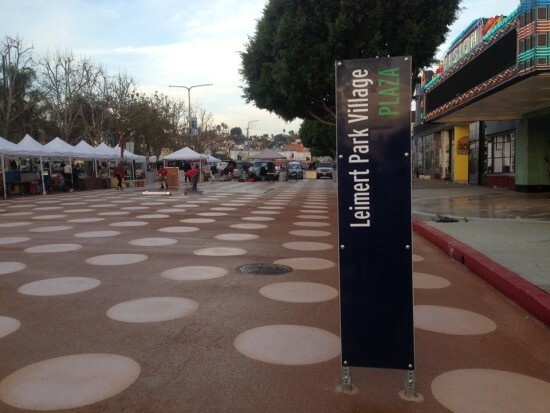 Two more plazas are about to open in Leimert Park and Pacoima, while four parklets are set to open this summer throughout the city. 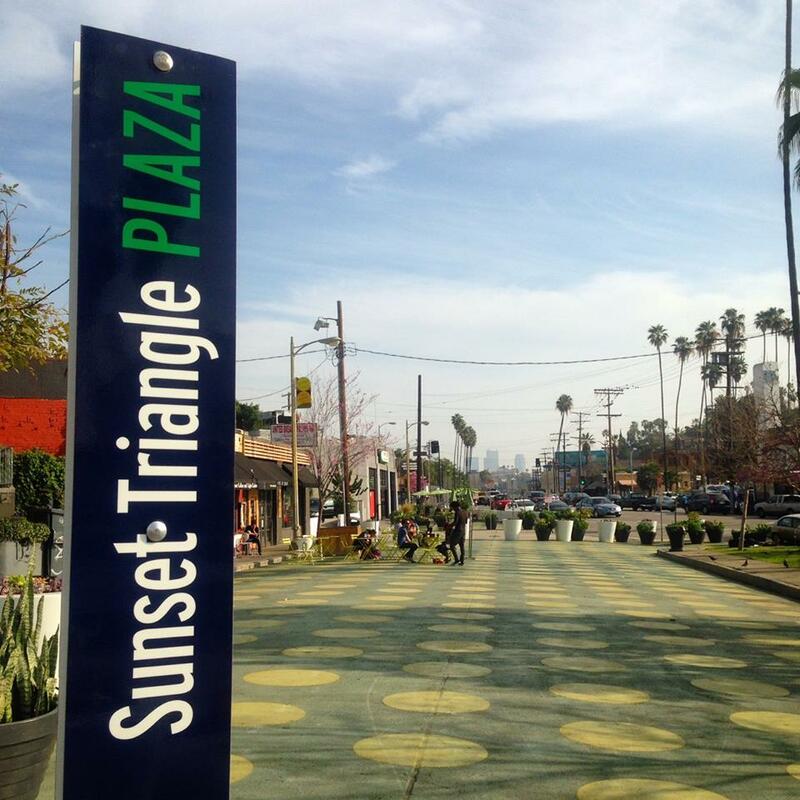 According to LADOT Assistant Pedestrian Coordinator Valerie Watson, all of People Streets’ inaugural projects are running ahead of schedule.